My Beloved Ones, I greet you this day in eternal joy, as part of your planet is in the midst of spring and the other is in the midst of autumn. As the affairs of your world continue to be turbulent, I ask you to remember that without turbulence there is no change. Humanity must experience that which is undesirable before it can propel change. The collective consciousness of Earth is a group energy comprised of the energies of all the humans and life forms which live on the planet. What you experience in your world is a product of your collective pool of thought. Because your plane has long been in the lower frequencies of fear, it is a karmic plane. As you have co-created with those of us in the higher planes to bring increased light frequencies into the Earth plane, it is now possible to live "without karma". This is possible for individuals who have raised their own personal frequency enough to transmute their own personal karma. It will not be possible for humans, as a collective consciousness, to live free of karma until it is transmuted on a collective basis as well. This is the process you are undergoing now, my Beloved Ones, the transmutation of the collective karma of Earth. Each one of you are assisting in this as you pursue the raising of your own frequencies as fully embodied consciousness. The law of karma is a cosmic law. It is not one which is based on rewards and punishments, but one based upon the focus of thought, individual and collective. The law of karma exists upon the judgment of good and evil. As soon as one, or a group, begin to judge the polarities on which experience is based, then the one, or the group must experience both sides of the polarity. This cosmic law is also sometimes stated as "that which you resist, you will draw to yourself to experience." The only way to transmute karma is to respond to the type of experience which has created the karma in a different way; a way that is beyond fear and judgment. This holds true for the individual and the collective. The only way your human societies will be transformed is by humanity responding in a different way to the same repetitive experiences that it has created time and time again. You, as individuals, are part of the collective; an extremely important part. You are the bearers of the Light frequencies into the Earth plane, and by transmuting your own karma within yourselves; you are making great changes in the collective consciousness as well. Many of you came to your human embodiments without karma. Did you know that? You chose to come here from the higher dimensions above duality in order to assist humanity in its ascension. You created karma for yourselves, though, in your present embodiments, because Earth is a karmic plane. At the time of your arrivals here, it was impossible to do otherwise than create personal karma. When one takes embodiment in a plane of fear, where the standards of good and evil are embedded so deeply in the collective consciousness, one cannot really avoid creating personal karma. The influence of the collective is too strong. There was another important reason that you created karma for yourselves as well. You created it specifically for the purpose of transmuting it. You came to Earth equipped with the higher consciousness to be able to do that; to respond to the karmic experiences in a way which would not have been possible for the masses of humanity. If you are following with me so far, you will remember that each individual consciousness is a part of the collective consciousness. As each one of you transmutes your individual karma by rising above fear and judgment, you are a powerful stimulus to the transmutation of the karma of the collective. When karma is transmuted, there is always change, upheaval, as the karmic patterns are broken. This will be true whether in your own life or with the events of your world. Since the evolution your world is undertaking now is an accelerated one, the karmic transmutation is also accelerated. For this reason, there are many turbulent events occurring in your world, and they shall continue to do so until the collective karma is transmuted. There are still many of you who are very fearful about what is happening around you, and very concerned that the world situations are not improving. Gently, I remind you, my Beloved Ones, that it is your own fear and judgment that perpetuates the karmic patterns. Humans have lived in fear and judgment of one another for a very long time. That fear and judgment is what creates the situations of human against human that you so deplore. To judge and condemn another human, or group of humans will only create more of that which you do not desire. There are a vast number of voices speaking to you, both from within your plane and without. Some of these voices are focused towards the empowerment of humanity and others are focused toward perpetuating the fear and duality. You will become very confused listening to these voices, as each one has a different story to tell. Some of them are telling you stories in order to serve their own ends, which do not include the transmutation of the collective karma of Earth. As Earth has entered the age of technology, the sources of information, of stories are virtually endless. To look for your answers and your truth amidst this huge amount of information is a fruitless task, one which will ultimately lead you around to the same karmic circles as in the past. My Beloved Ones, once again I encourage you to focus upon your own inner being and look to transmute your personal karma by rising above fear and judgment. Withdraw into the stillness of your own hearts to find your own truth and do not look to others to supply it to you. That truth that you adopt from outside of yourself will be incomplete and unfulfilling. You are the brilliantly shining Lights of this evolution of human consciousness. It is you who are in the forefront of transmuting your planetary karma. Embrace these changes that are happening in your world, as they are the precursors to the great change you seek and are longing for. By denying them and condemning them, you are merely binding yourself to the old patterns once again. There is an extraordinary Divine Alchemy also happening with your planet and humanity as it experiences this karmic transmutation. The roots of a new human evolution are taking hold. Through the changes that will occur in your lives and in your world over the next years, a human society of Oneness will indeed be birthed. If there is no change, no upheaval which causes the old ways and systems to be evaluated and dispensed with, then no evolution is possible. As it is throughout the entire cosmos. The realization of desire is not made clear in the absence of that which is not desired. It is that which is not desired which defines that which is. My Beloved Ones, that choice to move beyond fear and into your own empowerment has never been more important. By moving beyond fear, you will transmute your own karma, and also assist in transmuting that of the collective. I encourage you, each and every one, to begin or continue writing your own stories, rather than looking for your own power through the stories of others. You will not find it there, in the next group, cause, organization, agenda. You will not find it on the television, on the internet, in the newspapers, at the movies. You will not even find it through your spiritual circles, because your own power can only be drawn from within yourself. You may find assistance and inspiration through your connections with others, but it is you alone that can make that choice to overcome fear and take your power. You have really not begun to write your own stories yet if you are still living in fear and looking for truth outside of yourself. You begin to write your own story from a place of power within. Unless you have begun to write your own story, then you will not know which of the other stories are in resonance with your own. The other stories will continue to confuse you and create fear within you. 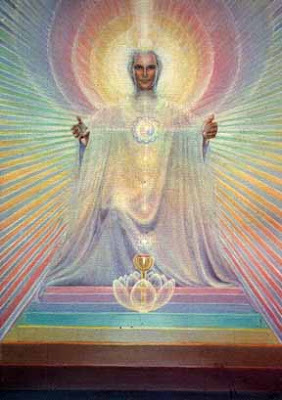 My Beloved Ones, these times on planet Earth are about your own personal ascension, and from the ascension of each one of you, the collective will also be able to ascend. All you need concern yourselves with is your own ascension, your own moving out of the frequencies of fear and karma. As you do this, the collective will also reflect this transmutation of karma. There is no one more important to this planetary ascension process than "you" – the individual who is reading this message right now. Your own karmic transmutation is vitally important to that of the whole. There are no exceptions. Each one of you is key personnel and you are up to the job. I come with messages in order to remind you of that on many levels of your being. Your essence is Love, rather than fear, and you are loved, more than you can know. I AM Metatron, I AM With You Always ! What Is Happening In 2012 ? !